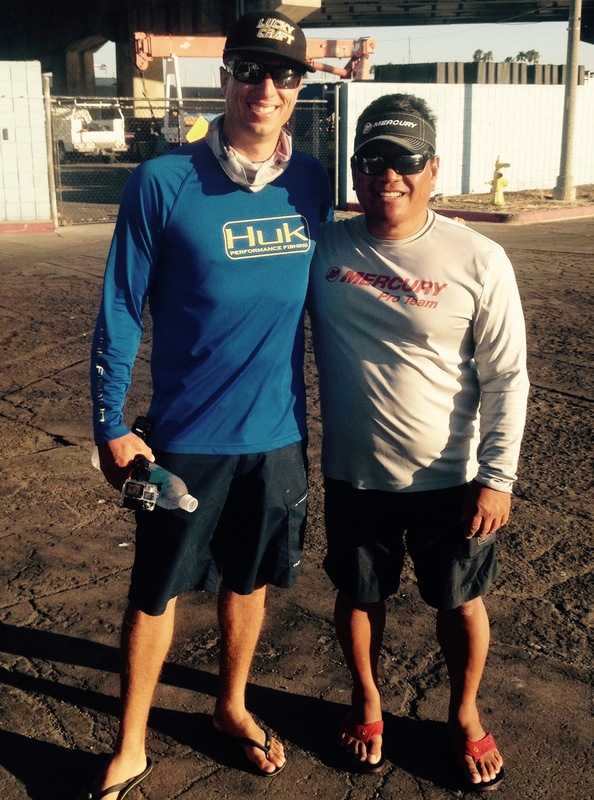 Had the call to go fishing from Rick Grover of Angler's Marine, his son Kyle, and BASS Elite pro Brent Ehrler. The goal was to go to San Clemente Island. Headed to the east of Catalina Island and the wind was already howling out of the west! Decided to fish Cat for not too much! Decided to go to n area where we could get on a good bass bite to salvage the day. Stopped at the 150 for a fish that rolled on a Surface Iron and we headed to my area on the beach. We had pretty much steady Calico Bass fishing until we had nice size Yellow's chasing hooked bass! We fished harder on the Surface Iron until I hear Kyle yell, "I'm on, I'm on!" Yellow! We get a gaff on a 20 pound class Yellow! Awesome to get one on this spot. A little while later after catching a bunch more Calico's, I hear this explosion on the bow, and Brent's yelling, "Yellow, Yellow!" We are on again! 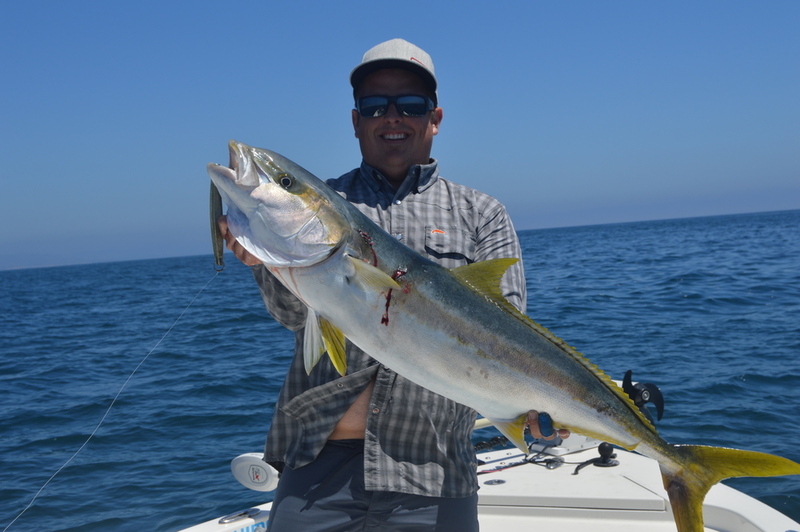 Brent fights that thing and gives no quarter and I stick a gaff in his 30 pound class Yellowtail! What a great day of fishing! Decisions is what makes fishing fun! When you make the right call and it just comes together! Thanks to Rick for putting this trip together! 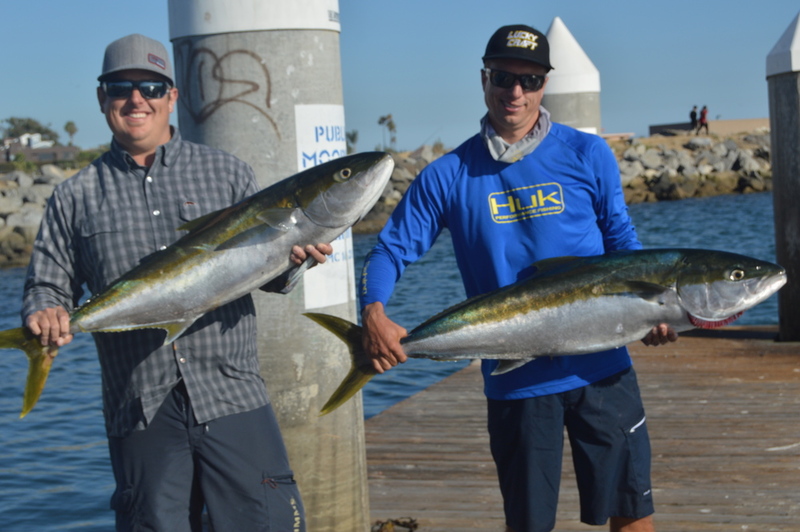 I have never fished with Kyle, It was a pleasure and I could see why he is an up and coming FLW star out on the circuit, and of course Brent Ehrler BASS Elite Pro for showing why he is one of the best anglers out there! You guys can fish e anytime! Kyle with a 20 pouder and Brent's 30 pounder! 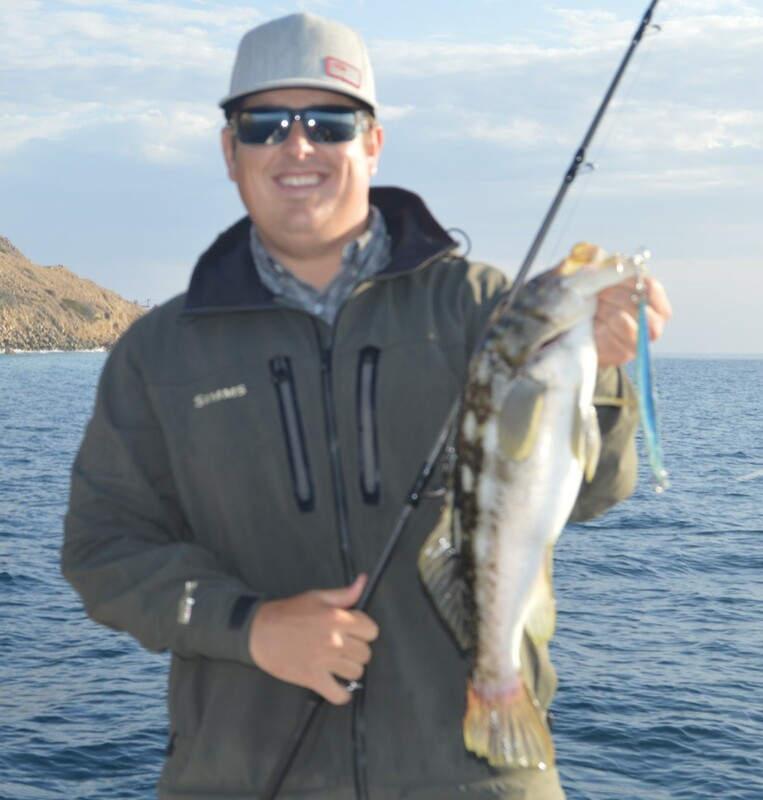 Kyle with a nice Catalina Island Calico Bass on a Surface Iron. Brent with a nice chunky Calico Bass on a Lucky Craft 190 Magma in a custom color! Brent and I after a great trip! Dan, Glenn, and Brian Re-do!